It’s the best time of the year. Not only are red, green and white the only fashion color you’ll see in the streets, but Christmas carols are also on repeat wherever you go. And with all these festive spirits around, there’s no escaping the parties and gatherings that come with the package. So if you’re in a hurry, can’t think of something or simply just can’t cook. 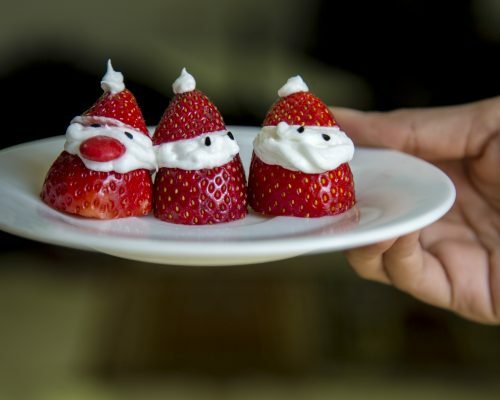 We’ve got your back with these easy and cheap DIY Christmas treats that will wow your guests. -Red, white and green sprinkles. -Whipped cream or cake icing. 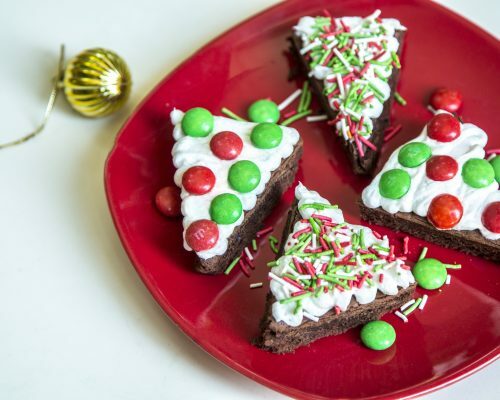 To make these adorable Christmas themed brownies, you’ll just cut the brownies in triangular shapes. With your whipped cream ready, just put some in a refrigerator plastic bag and cut a small triangle from the corner off. 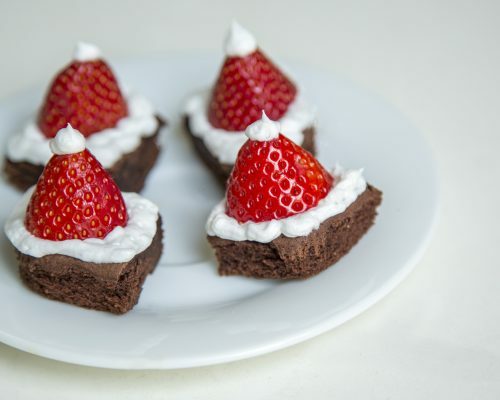 Cover the triangle brownies with your whipped cream by simply moving your hand from left to right to give it that ‘tree’ factor. 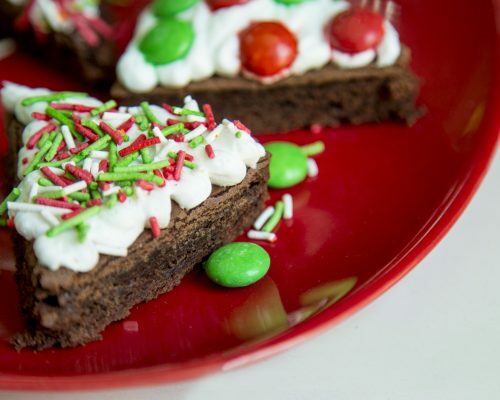 Afterwards, just use your imagination, decorate your Christmas trees brownies with green and red M&Ms and with the sprinkles. You can play around with how you want them to look. This is a recipe that would take no more than 15 minutes. And if you make this as the guests are parking, just keep them in the fridge for a bit while you greet to keep the whipped cream from melting. Why is this recipe called naughty Santa you ask? Well, it’s because you’ll be making these healthy-ish treats. Since it’s strawberry season, you’ll find them wherever you go and they’ll look the best. After washing, cut your strawberries in half and keep the end on the side. Get your brownies and if you have that circular cutter thing for cookies, then you’re lucky. If not, just cut them up into small squares that would fit the size of the strawberry. With your whipped cream ready and in a plastic bag, start by icing the middle of the brownie and going all the way out. This method will help the strawberry sit in place. 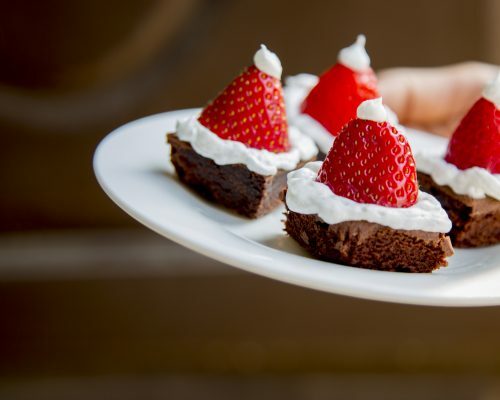 Now all you have to do is add the strawberry’s end like a hat on top of your whipped creamed brownie and add a small dose of cream on top to make the hat. Then, carefully add your black sesame seed on the whip-cream to make the eyes. 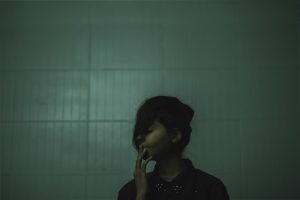 And you’re done. Now you’ve made a Naughty Santa treat that will certainly impress anyone, and it didn’t take more than 10 minutes to make. Now’s the time we make the ‘good’ Santa version of this treat. Simply cut a strawberry in half, so you’ll have a base and a hat. However, make sure that the bottom part can be placed parallel to the plate or cutting board. With your whipped cream ready, start by icing the middle of the base strawberry and going all the way out. Just make sure your whipped cream is cold. Place the hat part of the strawberry and add the sesame eyes. You can add a bit of humor by sticking a red M&M as the mouth. And now you’ve got a healthy, festive and delicious Christmas treat that took 3 minutes to make. No baking skills needed. Now that you’ve taken three minutes to read this, it would actually take you three more to make any of these yummy treats. So, which one caught your eye the most?